Custom built and ready to call home! Lots of room for entertaining with kitchen and dining area open to family room, large entry and formal living room with bay window. Gorgeous floor to ceiling brick fireplace in family room with beamed ceilings. Half bath and laundry are right off over size 2 car garage. Upstairs the spacious master suite has bonus room for office, nursery or huge closet. Large deck overlooks private tree lined yard. 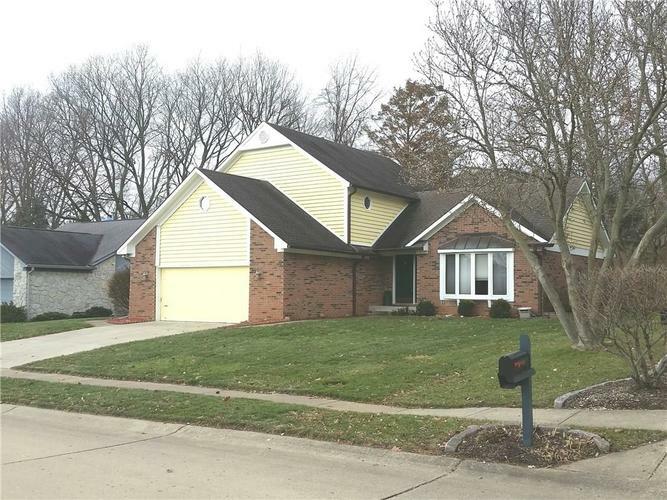 Great neighborhood 15 minutes to downtown 40 minutes to Bloomington. Directions:Go east from Bluff or west from Meridian on Stop 11 turn south on Dark Star, left at Secretariat then right on Gallant Fox to home.